As the Cold War era of the late twentieth century escalated, philosophers and scholars throughout the world continued to refine the intellectual ideals associated with the concept of pacifism while also defending the moral justification for its implementation in the nuclear age. In the United States significant contributions were made by several scholars including: Robert L. Holmes. The Greek Orthodox Church also tends towards pacifism, though it has accepted defensive warfare through most of its history. However, more recently[when?] it took a strong stance towards the war in Lebanon and its large community there refused to take up arms during its civil wars. It also supports dialogue with Islam. In 1998 the Third Pre-conciliar Pan-Orthodox Conference drew up a text on "the contribution of the Orthodox Church to the achievement of peace" emphasizing respect for the human person and the inseparability of peace from justice. The text states in part: "Orthodoxy condemns war in general, for she regards it as a consequence of the evil and sin in the world." 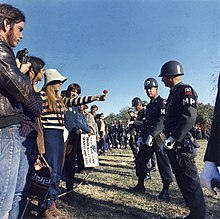 While many governments have tolerated pacifist views and even accommodated pacifists' refusal to fight in wars, others at times have outlawed pacifist and anti-war activity. In 1918, The United States Congress passed the Sedition Act of 1918. During the periods between World Wars I and World War II, pacifist literature and public advocacy was banned in Italy under Benito Mussolini, Germany after the rise of Adolf Hitler, Spain under Francisco Franco, and the Soviet Union under Joseph Stalin. In these nations, pacifism was denounced as cowardice; indeed, Mussolini referred to pacifist writings as the "propaganda of cowardice". Some commentators on the most nonviolent forms of pacifism, including Jan Narveson, argue that such pacifism is a self-contradictory doctrine. Narveson claims that everyone has rights and corresponding responsibilities not to violate others' rights. Since pacifists give up their ability to protect themselves from violation of their right not to be harmed, then other people thus have no corresponding responsibility, thus creating a paradox of rights. Narveson said that "the prevention of infractions of that right is precisely what one has a right to when one has a right at all". Narveson then discusses how rational persuasion is a good but often inadequate method of discouraging an aggressor. 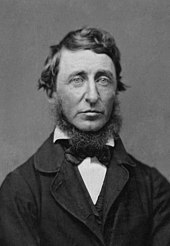 He considers that everyone has the right to use any means necessary to prevent deprivation of their civil liberties and force could be necessary. ^ Clément, Olivier, "The Orthodox Church and Peace Some Reflections" Archived 2009-09-02 at the Wayback Machine on the Orthodox Peace Fellowship website. Hassell, Tristin S. (2011). "Pacifism". In Deen K. Chatterjee. Encyclopedia of Global Justice. Springer. ISBN 978-1-4020-9159-9. This page was last edited on 18 April 2019, at 14:44 (UTC).